Keeping a keen eye on your kid’s temperature can feel like an almost weekly occurrence for most parents. From the odd sniffle to feeling hot after regular jabs, knowing whether they’re running a fever is essential when it comes to deciding if you need to call the doctor or take care of them at home. Digital thermometers are increasingly common and offer more accurate readings than old–style models. Some offer in–ear reading, others can take temperatures by being placed close to a baby, to prevent discomfort. As with so many handy parenting extras, you can spend as much as you like. 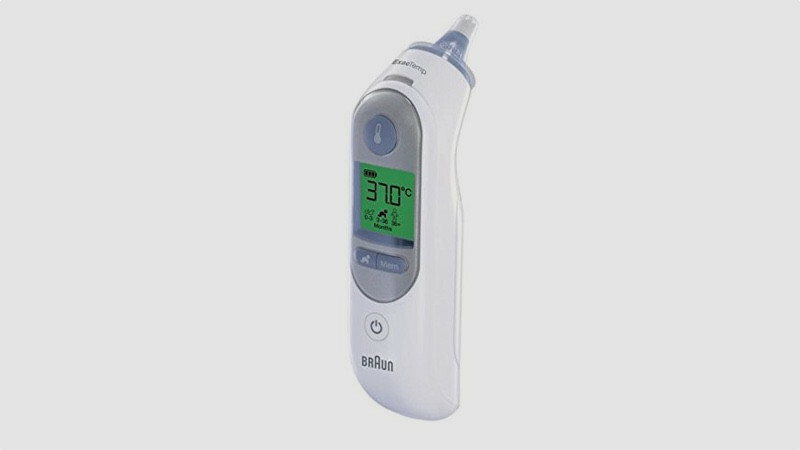 From basics that get the job done to tech–heavy solutions that deliver medical–grade details, here’s our pick of the best digital thermometers. At just shy of £40, the Braun Thermoscan 7 isn’t cheap. But its feature set gives parents plenty of peace of mind, which, for us, makes it worth splashing out on. It’s easy to use, with special guards placed over the in–ear probe meaning it stays clean no matter how many times you use it. Simply place it in your child’s ear, press the thermometer button and wait for the reading. Its adjustable settings are what really make it stand out. It takes readings for 0-3 months, 3-36 months and 36 months upwards, taking into account that fever levels vary depending on age. The temperature reading glows green when there’s no fever, orange when borderline and red when out of safe range. It even stashes the previous nine readings, so you always know how things have changed since it was last used. 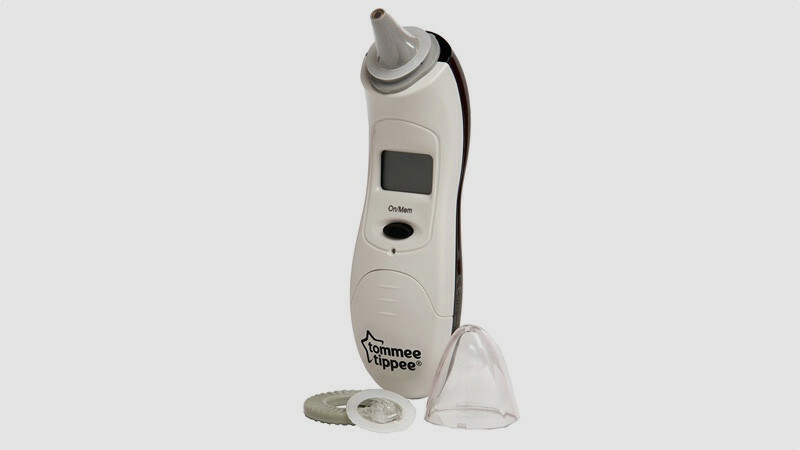 Like the slightly-pricier Braun model, this model from baby brand Tommee Tippee is an in–ear thermometer. It features a small tip which is said to be ideal for newborns, although caution is advised when using any such product on very small babies. There’s the promise of a reading in one second, with an alarm sounding if the temperature is high. Listen out for a long beep, followed by three short ones, to know if your little one has a fever. As with the Braun, it can store nine readings. There’s also the option to see readings in both Celsius and Fahrenheit. With the pricing virtually the same as the Braun, it’s a close run thing, although the latter’s traffic light reading system does edge it somewhat. 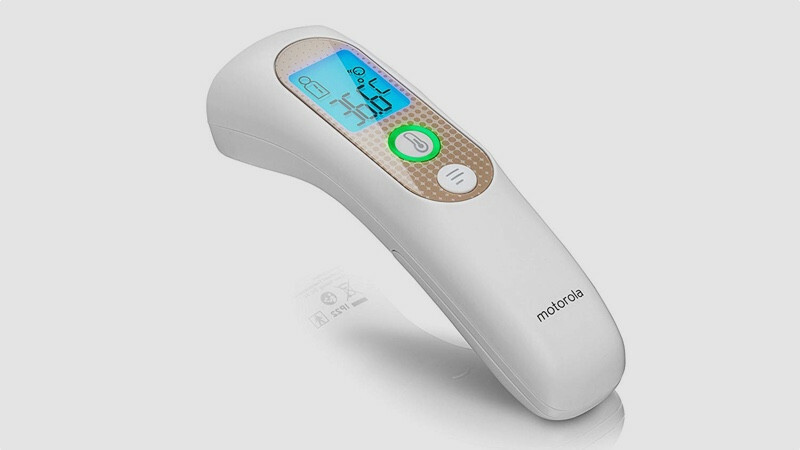 Part of a growing band of non–touch thermometers, Motorola’s Smart Touchless Forehead Thermometer is ideal for those who struggle to get an in–ear reading from wriggly babies. It’s also good for when little ones are sleeping. Simply place it close to your child’s forehead and you’ll get a temperature reading in either Celsius or Fahrenheit. The thermometer itself can store up to 50 readings, while it can also be linked to the Motorola Smart Nursery app where you can track previous readings and keep a closer eye on your child’s health. You can create up to four different profiles on the device itself. The temperature light glows green or red depending on the reading. What’s more, it can be used to check the heat of milk and food, making it handy in the kitchen too. 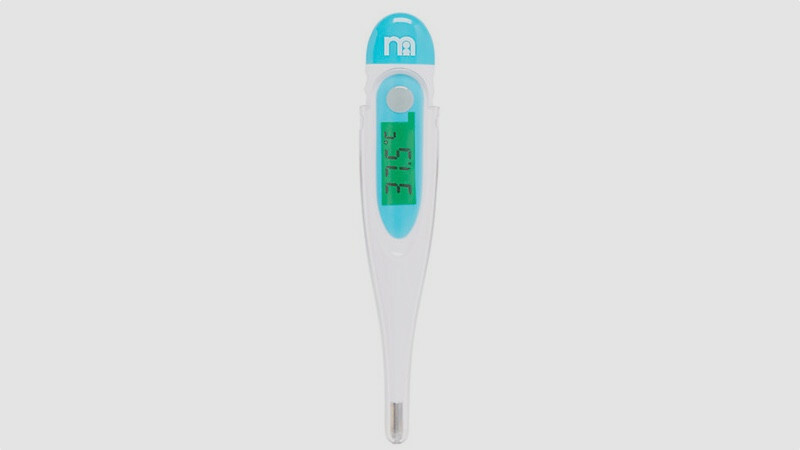 While fully featured thermometers can help you track your child’s health over a period of time, while serving up alerts and other extras, there’s a lot to be said for trying a more affordable option. Mothercare’s simple digital pen thermometer might be basic, but it gets the job done. As with old–school mercury and glass models, this is simply placed underneath your child’s tongue to obtain an accurate reading. It beeps when the reading has been taken and beeps again if the temperature is high. It’ll also show the last reading when you turn it on, refreshing your memory if your child has been under the weather for a while. Placing a thermometer under a child’s tongue isn’t easy, so this is one for kids who are a little older. But in terms of value, it is hard to beat. Considering parents reach instinctively for liquid ibuprofen to try and bring down a temperature, it’s no wonder that Nurofen have got into the thermometer game with this clever solution. 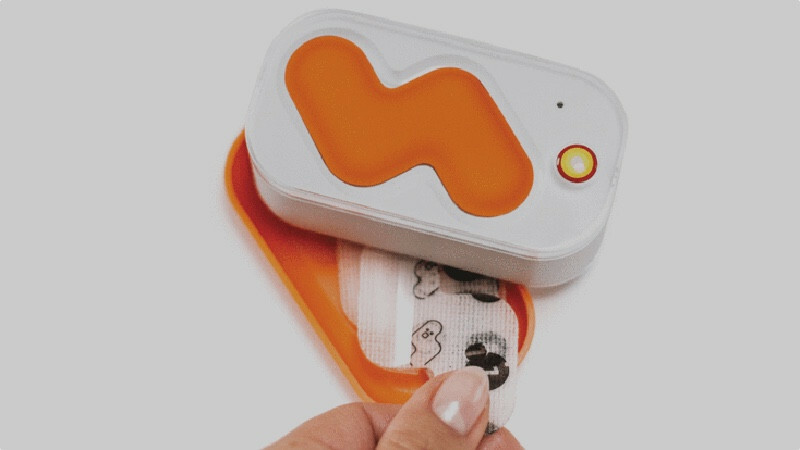 The monitor itself is a patch which can be placed beneath a child’s arm using adhesive plasters. Then, using Bluetooth technology via the bundled base station, it transmits real time temperature updates to a dedicated smartphone app. This will send alerts when their temperature spikes and allow you to keep an eye on when you last administered medication, so you know when to give more if needed. The idea is that you can check on temperature without the need to either wake your child or go into their room and disturb them. In that context, this is a smarter bet than the Braun and Tommee Tippee models, even if it is pricier.